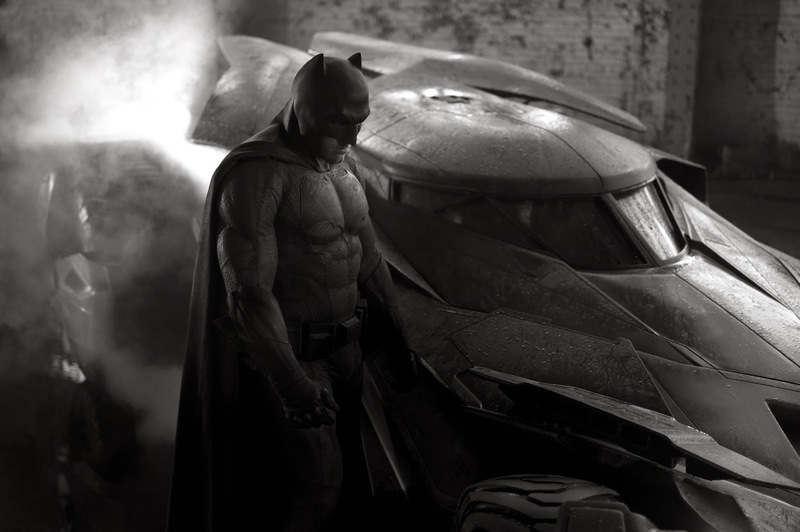 It seems like the seal has been broken on information surrounding the upcoming Batman vs. Superman movie, as we are starting to get a steady trickle of details surrounding it. After the huge unveil of Batfleck's Batsuit and the new Batmobile, we now have an official title as well. Variety has released the official title and logo. I love it. I've said multiple times that I love the Batman V. Superman in the title. The Dawn of Justice subtitle is obviously a nod to the roots of the formation of the Justice League. It's bold, it's honest, it's to the point, it's unashamed. Everything this movie needs to be. It fits perfectly with the picture we've already seen. Although very little of this movie has been officially confirmed, it has nailed the tone with each and every announcement, from the Dark Knight Returns tease at the official announcement and Comic-Con, to the Batfleck Batsuit reveal, to the movie title. The original tease of the Batsuit came from Kevin Smith, who raved about it and said it was a version of Batman we haven't yet seen on-screen--which was true. Recently on his show, Hollywood BabbleOn, Smith extrapolated on the picture that he saw, since it wasn't the same as the picture of Batfleck that everyone else has seen. That returns us to the original question, though. 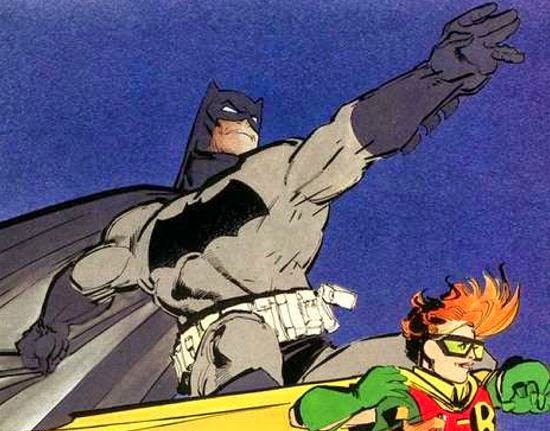 The colors aren't the most explicit in the artwork from The Dark Knight Returns. It's black and grey sometimes and there's some blue in it sometimes as well. In addition, he wears more than one Batsuit during the comic (including the yellow bat symbol on the chest), but it's quite likely we'll see more than one suit in this movie as well. Kevin Smith called that out as well. This movie isn't coming out for two years, but I'm hoping the positive buzz can continue. One of the biggest pieces of negativity surrounding this movie is over frustration that a movie that is supposed to be a Man of Steel sequel is becoming a full blown Justice League movie. This title definitely acknowledges that and will either dismiss those frustrations or validate them. It looks like this movie was never supposed to be a Superman focused film in the first place. The movie is in production in Detroit already, so hopefully we'll get a Gal Galdot Wonder Woman reveal and a Henry Cavill new Supersuit reveal. At the very least, we'll be getting some leaked set photos before long, so keep posted.